Keep up-to-date with your departure or arrival, be inspired by our destinations, find out when you can fly and with which airline or see how to make the most of a stay in Yorkshire. Find out more about our range of official car parks, our picking up and dropping off zones and take advantage of our simple, online booking process. When would you like to park? When would you like to exit? Ideal for business travellers and short breakers, you can get on your way in no time thanks to number plate recognition barriers and roomy spaces conveniently nearby to the terminal. Booking online is as quick and easy as arriving on the day. Thanks to number plate recognition you’ll be able to access our Short Stay car park easily and find a space only a short walk away from check-in. Follow the Short Stay car park signs from Whitehouse Lane. As you enter the approach road, stay in the right-hand lane and continue to follow the Short Stay signage. Take your 1st right to enter through the barriers. The postcode for the airport is LS19 7TU. See our parking map here. The Short Stay car park is a 1-2 minute walk to the terminal. You may need to walk up stairs to reach the terminal front depending on where you have parked. Guarantee your space at the best price when you pre-book online. Simply enter your time of arrival and return to get your quote and book. Passengers can also turn up and park at our Short Stay car park on the day of travel. Spaces are subject to availability so we recommend booking online to guarantee your space. Excellent, fast and easy and a short walk to the terminal highly recommend. Where can I find flight and arrival times? Full flight information can be found on our Arrivals and Departures pages. You can even track your flight for more information and to be alerted of any changes. Can I take my Blue Badge abroad with me? If you need to retain your Blue Badge for your travels, please display a photocopy of your badge in your windscreen. The disabled parking area is checked regularly and your car may be clamped or a fixed penalty fine issued if there is no sign of disabled parking entitlement. Can I amend or cancel my lounge booking? You may amend or cancel your booking up to 12 hours before commencement of the booking period online by using the Manage My Booking link or Login link. In the event of failure to use the Lounge facilities for any reason you will not be entitled to a refund. Can I walk up and purchase a lounge stay at Leeds Bradford Airport? Entry to the lounges is available to walk up customers subject to availability. How do I get to the terminal building? If you have booked the Long Stay Car Park, the shuttle bus runs 24/7 to transfer you and your luggage right to the terminal entrance. Is there free Wi-Fi at Leeds Bradford Airport? You can access free, unlimited Wi-Fi throughout the terminal. What are the security restrictions at Leeds Bradford? For details of security procedures please visit our security page. When is the airport open? 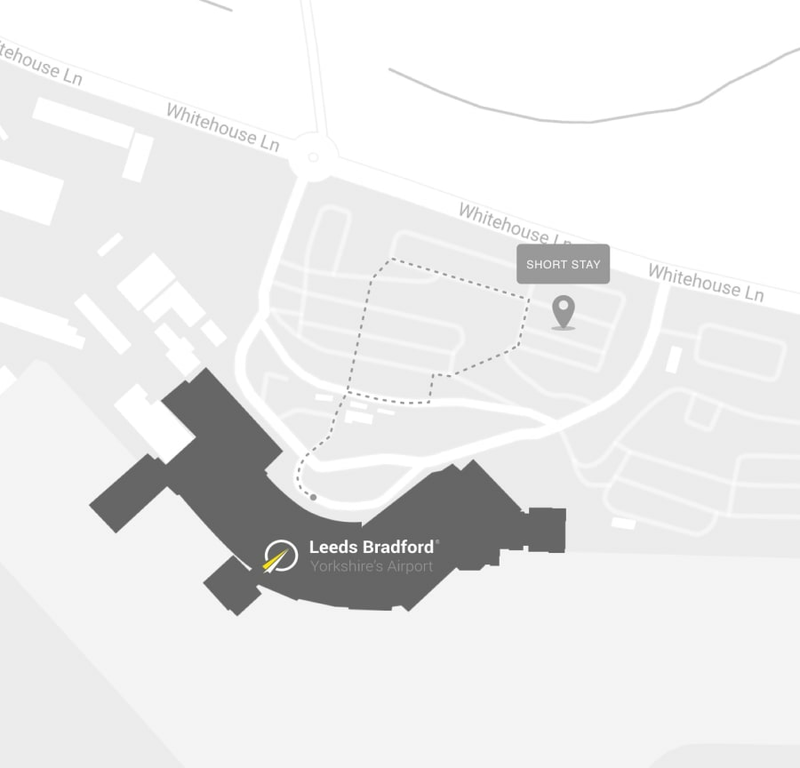 Leeds Bradford Airport is operational 24 hours a day, 7 days a week. Leeds Bradford® (EU No: 14561013). Leeds Bradford Airport® (EU No: 14561039).